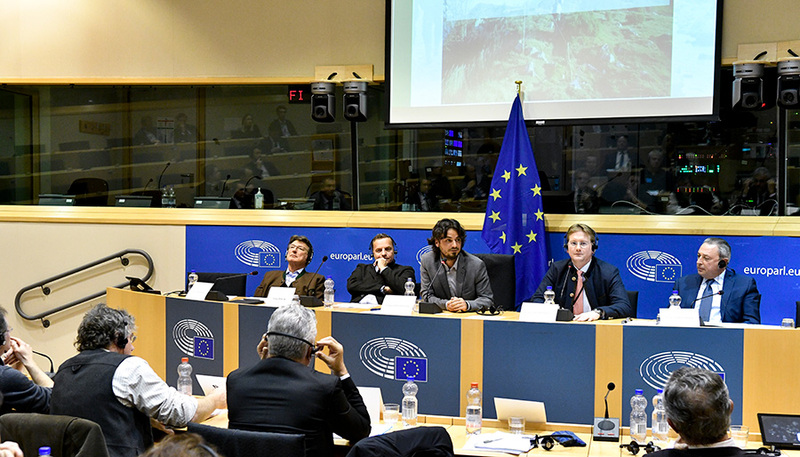 On Wednesday, 28 November 2018, Members of the European Parliament’s Political Group “Europe of Nations and Freedom” (ENF) MEP Giancarlo Scottà, MEP Jacques Colombier, MEP Dr. Georg Mayer and MEP Franz Obermayr organised in collaboration with FACE the conference “Hunting in the European Year of the Cultural Heritage: The challenges of today and tomorrow”. 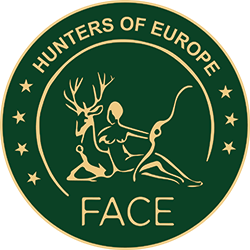 The conference, moderated by FACE Secretary General Ludwig Willnegger, highlighted the important role of hunters in our society, in the production of scientific data and in the monitoring of wildlife. He also highlighted the economic, ecological and social value of hunting in Europe. The first part of the conference, introduced by MEP Scottà, was dedicated to the drivers of declining wildlife populations, linking with European legislation and a case study on monitoring wild birds. In particular, he underlined that the Common Agricultural Policy (CAP) has a negative impact on environment, biodiversity as well as on the status of many huntable and non-huntable species. Andrea Favaretto, Italian expert in charge of the bird-ringing centre at Monte Pizzoc, presented the ISPRA project, which monitors more than 80 bird species. Mr. Favaretto highlighted that the most important decline is recorded in the species present in agricultural environments. The reasons for this decline are loss of habitat, unsustainable agricultural practices and climate change. Kathleen Vanhuyse, Scientific expert from the Flemish Hunting Association, presented the Flemish Partridge Project: “We are working to reverse the declining trend of this species. With this project, we have set up 60 wild game management units that deal with the restoration of the species and collaborate with farmers and environmental organisations”. The partridge population seem to be recovering in these areas. This is why the new CAP must be oriented towards restoring biodiversity by creating quality habitats that can provide food for birds. Eric Sicard, President of the UGDCT (Girondine Union for the Defense of Traditional Hunting) and Vice-President of UNACOM (National Union of Hunting Associations on Migratory Birds) raised the problem of the impact of agriculture on farmland birds: “We need to use less dangerous pesticides to avoid destroying the food supply chain” he said. Francesco Bruzzone, Member of the Italian Parliament, showed full support for traditional hunting methods in Europe. He focused on the political and sometimes anti-scientific attitude of ISPRA, pointing out that at the institutional level in Italy, the anti-hunting positions often triumph. Regarding the derogations, not allowed by ISPRA, he stated that “we need clarity from the EU Commission”. The second part of the conference, introduced by MEP Franz Obermayr, addressed the issue of large carnivores, in particular wolves. Thomas Huber, Thomas Pfeiffer and Paolo Sparvoli, President of Libera Caccia, focused on the current situation in Austria, France and Italy, as well as on the application of European legislation in those countries. The panellists called for a management plan for large carnivores at the EU level, also considering the protection status of large carnivore species provided by the Bern Convention, which also allows for derogations for certain quotas of large carnivores. 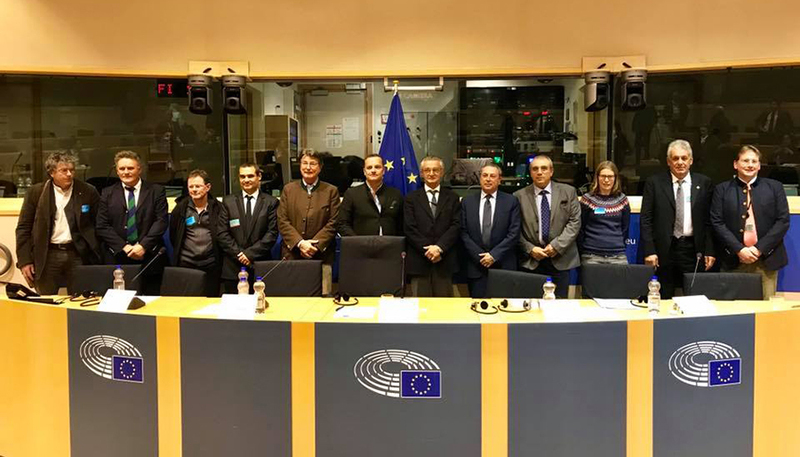 The conference was attended by several MEPs, representatives from stakeholder organisations, hunting associations and FACE Honorary President Giovanni Bana.